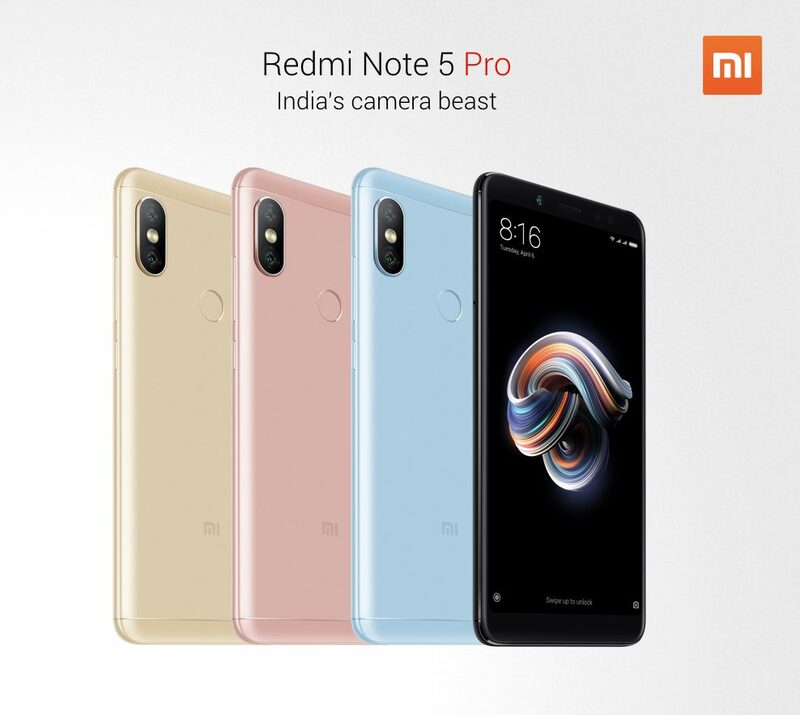 Xiaomi has officially launched the Redmi Note 5 Pro smartphone today that is surely an impressive budget offering from Xiaomi and a true successor to the Redmi Note 4. In our last article, we talked about the Xiaomi Redmi Note 5 and in this one, let’s take a look at the design and the specifications of the Xiaomi Redmi Note 5. 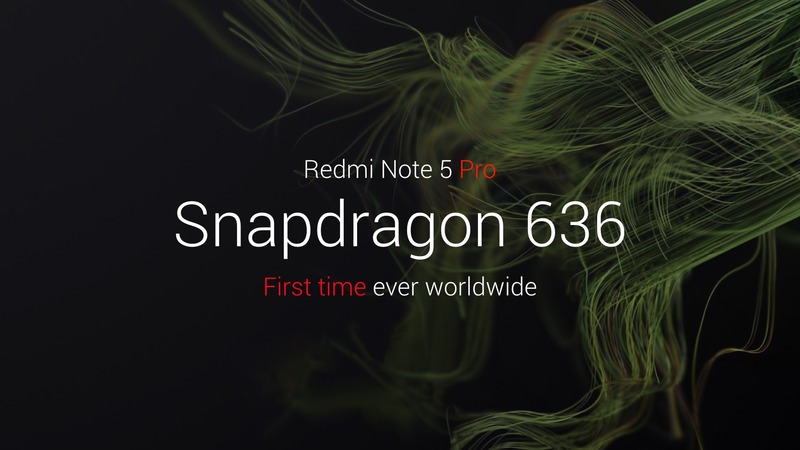 The Xiaomi Redmi Note 5 Pro features a same design from the front as the Redmi Note 5, but things change completely on the rear. There is no more a single rear camera placed in the centre, nor a horizontal dual camera setup as on MiA1. In fact, Xiaomi has followed the iPhone X’s design and so, the Redmi Note 5 Pro features a vertical dual camera setup on the rear. 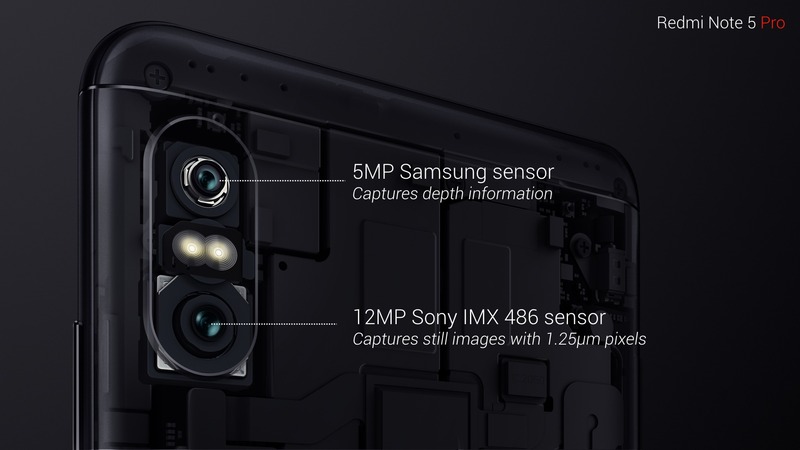 The whole camera module is exactly similar to the one on iPhone X with two camera lenses and an LED flash in between. Rest of the design is the same with a rear-facing fingerprint scanner, 18:9 display, on-screen buttons, micro USB port etc. Let’s talk about the specs now. The Xiaomi Redmi Note 5 Pro has the same display as Redmi Note 5, i.e., a 5.99-inch Full-HD+ panel with corning gorilla glass protection. Under the hood, the phone rocks an Octa-Core Snapdragon 636 processor, and this is the first smartphone to feature this chipset. 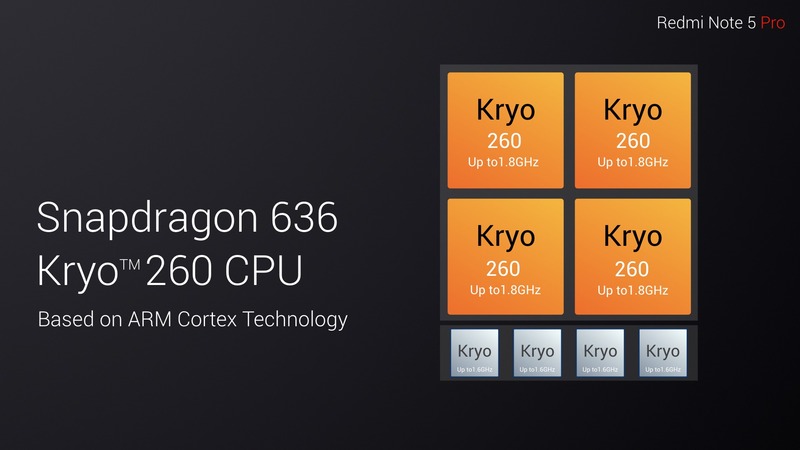 It is an upgraded version of the Snapdragon 630. Along with that, there is 4 and 6GB of RAM along with 64GB ROM. So yes, for the first time, we have 6GB RAM for any Redmi Note phone. The main highlight of the phone is the camera department. There is a dual rear camera setup placed vertically. 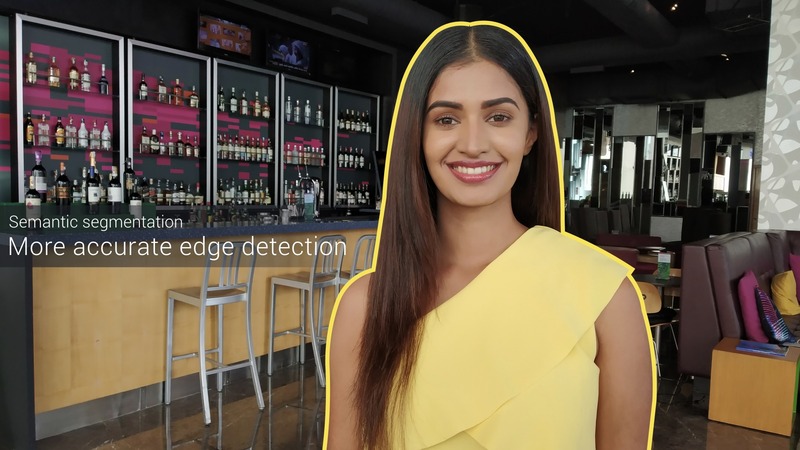 The setup includes a 12MP primary Sony IMX 486 sensor along with a 5MP secondary Samsung sensor for depth information. 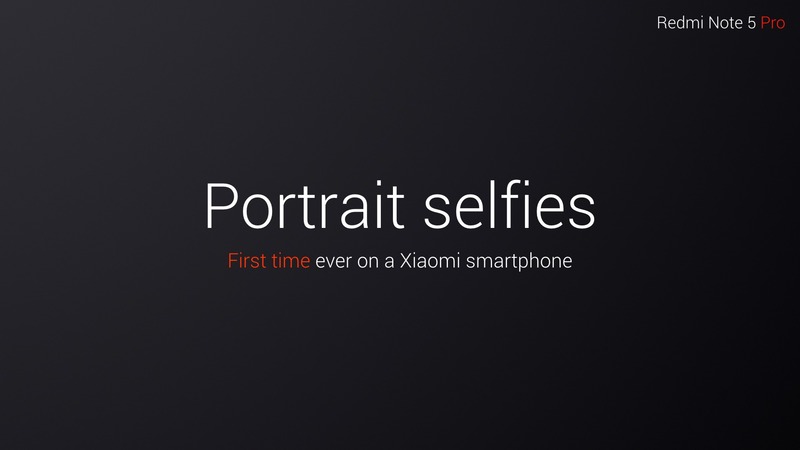 Due to this setup, the phone has a portrait mode, and at the event, Xiaomi even compared it with the portrait mode on Pixel 2 and iPhone X to show how good it is. On the front, the phone has an impressive 20MP camera with LED flash and Sony IMX 376 sensor. There is also portrait mode for the front camera. 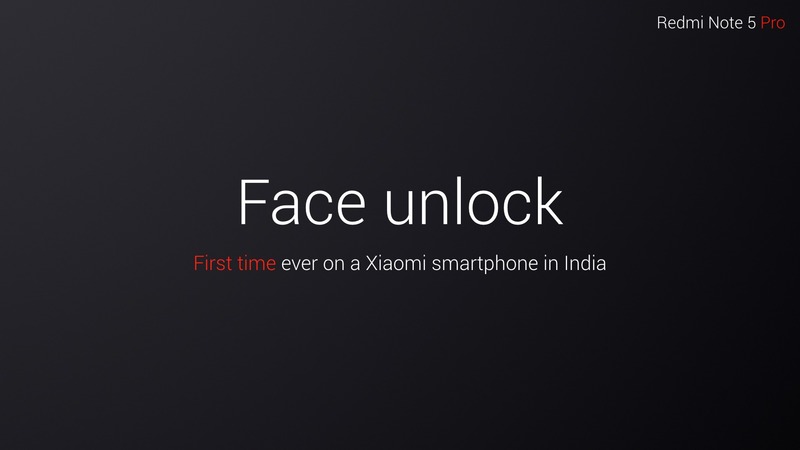 The phone also has Face Unlock feature that unlocks the phone in 500ms, as per the company. However, it will arrive by the end of March via OTA update. 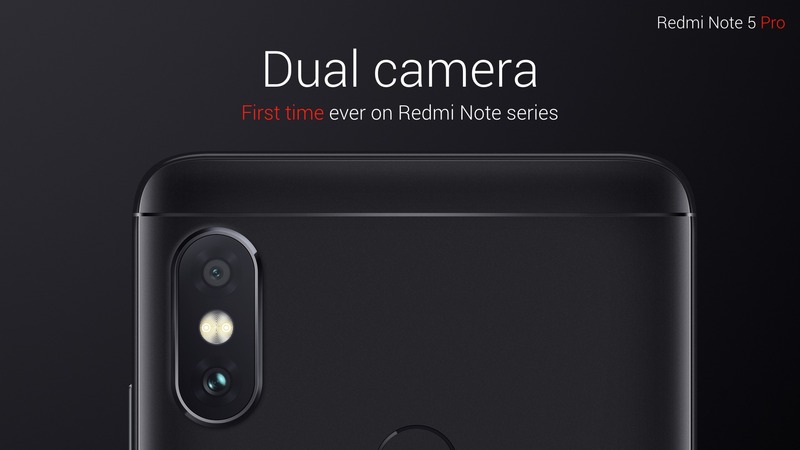 It is surely a disappointment to see no 4K video recording from rear cameras, but since Redmi Note 5 has it, we are sure that this will be added to Xiaomi Redmi Note 5 Pro via software update.The phone also has EIS for the rear cameras so the video recording will be smooth for sure. Last but not the least, Android Nougat runs out of the box with MIUI 9. So, do you think this is the perfect smartphone under Rs 20K? Do let us know via the comments section.